Brown Family Bible Records; Mt. Pleasant Church Cemetery Survey; Denhill Cemetery Survey; Will of John McCutchen; Luttrell-Shelton Family of Henry and Patrick Counties; 1870 Craig County Mortality Schedule; Alleghany County Legislative Petitions, 1820-1861; Reports of Cases Decided in the Virginia Court of Appeals, 1820-1821. 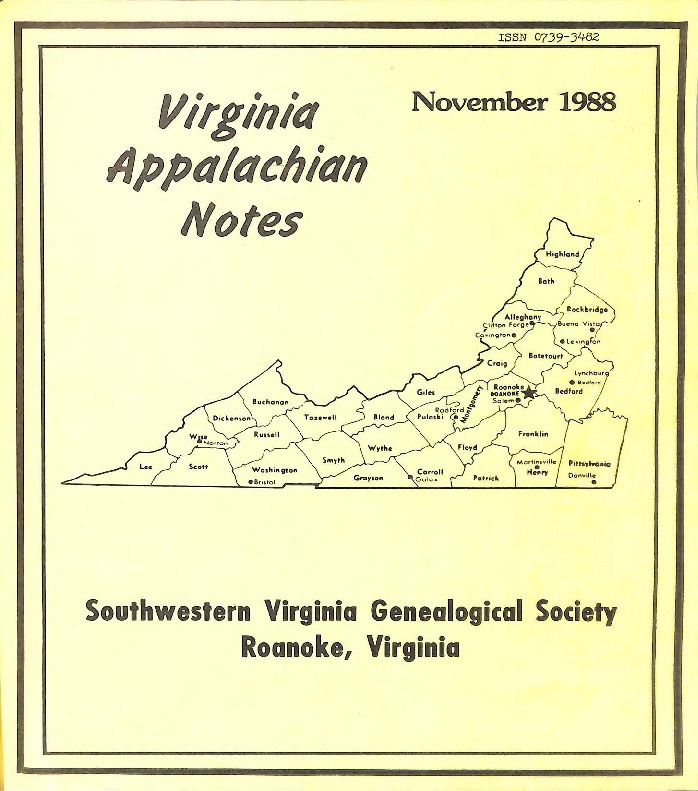 Southwestern Virginia Genealogical Society, “Virginia Appalachian Notes, Volume 12, Number 4,” Virginia Room Digital Collection, accessed April 19, 2019, http://www.virginiaroom.org/digital/document/VANv12n4.